Kosuke Yabuki is a game designer employed by Nintendo. 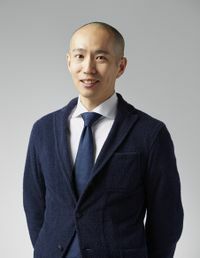 Having earned a Masters in Mathematical Informatics from the University of Tokyo, Yabuki was hired by Nintendo in April 2005, first working as a planner on the Wii version of The Legend of Zelda: Twilight Princess. Since the release of Mario Kart Wii, Yabuki is one of the key staff behind the Mario Kart series. Yabuki is now the manager and producer of Production Group No. 9 at Nintendo EPD. Outside of his work on the Mario Kart series, Kosuke Yabuki also served as the producer of the Nintendo Switch title, ARMS. ↑ 1.0 1.1 E3 2013 PDF from Nintendo's press website June 2013. ↑ Breaking Down the Staff Behind Arms Nintendo World Report. June 15, 2017. Retrived June 23, 2017. This page was last edited on January 16, 2019, at 09:17.